Sunday 29th October 2017. Clocks go back and we can all look forward to an extra hour in bed. However, what we don’t think about is how this will have an effect on our driving routine. Whether you’re an experienced driver or this is your first time driving in the darker months, at insurethebox we want to make sure your experience is as pleasant, easy and safe as possible. What can you do to drive safer in the dark? The first thing to do is to check that all of your lights are working. This includes headlights, brake lights, fog lights and the lighting on your internal dashboard. You can check most of your external lights in reflections of other cars or also just by asking someone to help you. Use dipped headlights when it starts to get dark, until it is dark enough to use them fully. Remember: don’t dazzle other drivers by switching on your beams. Use these on unlit roads or in extreme weather conditions, where there is no other traffic. An early darkness can already cause issues with limited visibility, so make sure you do your best to keep your windscreen and light lenses clean. A simple wipe down with a newspaper can help and will mean that you can see more clearly. We also recommend that you to top up the windscreen cleaner fluid as at this time of the year you have to clean your screen more often for clearer visibility. It may seem counter-intuitive as the days get shorter, but keep a spare pair of sunglasses in your car. They can help when the sun is rising and setting if you get glare in your eyes, disrupting your vision. Sometimes the sun visor just doesn’t cut it! Do you know your route? How about in the dark? If this is the first time you are experiencing driving with the change in light, make sure you take some time to understand your route. Some roads can be more hazardous in darker conditions, such as country roads or unlit motorways. Make sure you take precautions to adapt to the conditions to ensure a safer journey. You may not know that you have this function in your car, however, if you do, use it to your advantage. If you are suffering from glare coming from the headlights of other vehicles, dim your rear view mirror. This should be a simply switch of the toggle on the mirror and it will redirect the glare. Familiarise yourself with the toggle on the mirror beforehand. It is better to be safe than sorry! Driving in more dangerous conditions, particularly if they are new to you, comes with all kinds of warnings. You may find the change in light difficult to adapt to, your visibility will change and as always there are other motorists to be cautious of. Especially in busy times, there can be more traffic to deal with so plan extra time for your journey so you’re not finding yourself rushing. When driving in the dark, your visibility can be significantly reduced. Drive at a reduced speed to make sure you are prepared for any hazards in the road that might come your way, such as animals, cyclists, motorbikes and pedestrians. It is always safe to keep a bit of distance between you and the car in front, particularly on certain roads such as motorways. When the darkness falls it is even more important to keep a greater distance, in order to give yourself more braking time when you need to stop. Your car can travel a long way while you are still reacting to a situation in front of you. The average time that it takes a driver to react is 2.3 seconds, according to a study carried out by Copradar, which can be too slow to stop in time, so the greater the distance the better. Your eyes become used to the lack of light when driving in the dark and staring into lights of oncoming traffic can dazzle you, obscure your vision and disrupt your concentration. To avoid this, try not to stare directly into the headlights and focusmore on the road ahead , or if you feel like you are struggling to see, slow down. Driving in the dark can naturally cause fatigue and tiredness. This can reduce reaction time, your concentration levels and alertness. Particularly on longer journeys, make sure you stop to take a break. With an insurethebox car insurance policy we reward customers who take regular breaks when driving. 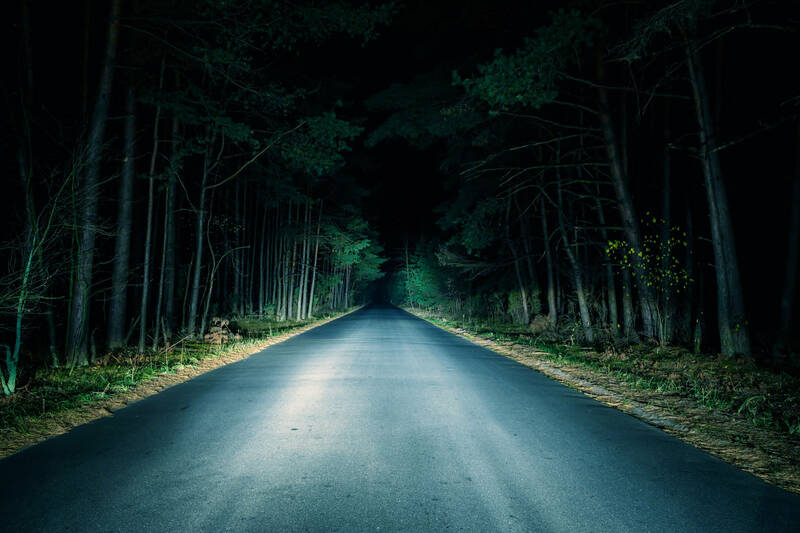 These are just a few tips that can help you to be a safer driver when the darkness falls. If you still don’t feel confident, you can also take Pass Plus or other advanced driving courses that can provide some experience of driving in the dark. Alternatively, you can also ask a more experienced driver to help you to practice driving at this time of day, until you feel ready to do it alone. To find out more about insurethebox’s policy or to get a quote, click here.